The life span of the springs is about 2 years. This applies to the springs of Viking if you skate about once a week. If this will be more often you could preventively replace them every season. 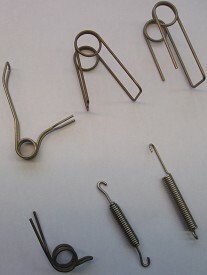 If there is natural ice or got to the Weissense or Sweden, it's also wise to replace your springs. The springs of Maple or other Tension springs wear less. These need to be replaced afther a couple of seasons. Especially when you notice ther are getting weaker.